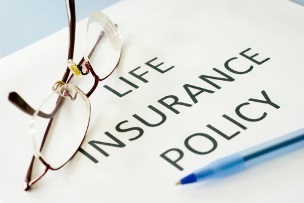 Theres a lot going on this week in the life insurance world. There’s a lot going on this week in the life insurance world. The Hartford, a group benefits provider, has enhanced its benefits sales experience to make it faster and easier for brokers to serve small businesses. The initiative includes dedicated sales representatives and a real-time, online quoting platform that delivers a quote in less than five minutes. The new experience includes easy-to-use tools, customized training and service, which combines technology and a personalized consultation. Brokers can use the secure quoting and admin platform to obtain a quote and proposal for disability, life, and accidental death & dismemberment insurance. Brokers can access the new platform via The Hartford’s producer view website. Symetra Life Insurance Company launched a survivorship universal life insurance product called Symetra SUL–G 1.0. The product is designed for clients looking for a robust legacy-planning solution. This guaranteed universal life insurance policy for two lives offers a competitive pricing structure with flexible premium payment options. Some of the key benefits are that it helps to ensure that legacy planning goals are met and provides guaranteed death benefit protection, payable upon the death of the surviving insured. This new product might be for clients who are looking to maximize their estate assets, ensure those assets are managed and distributed according to their wishes, equalize inheritance for beneficiaries not involved in a family business, leave a gift to a favorite charity or provide care for loved ones with special needs. The American International Group, Inc. (NYSE: AIG) announced the launch of Elite Survivor Index II a cost-effective joint and last survivorship index universal life insurance that features a built-in death benefit with a no-lapse guarantee plus upside potential and downside protection. It also has the option to access the cash value of the policy any time after the first year of issue. The product provides the benefits of traditional universal life insurance along with the potential for greater growth in policy value. Clients who may be interested could be couples who need tax-advantaged supplemental retirement income, couples with children from previous marriages, couples with special needs children, same-gender couples, couples who want to leave charitable gifts, grandparents who want to leave a legacy for a grandchild, and related or non-related business partners. Great-West Financial appointed two new regional sales, Jo Harrison and Kevin Olean, to focus on the growing demand for an array of variable annuity products. As regional sales directors, Harrison will focus on the Midwest, including Indiana, Michigan, Ohio, western Pennsylvania and West Virginia, and Olean will be in New York. Before joining Great-West Financial, Harrison served as regional business consultant with Curian Capital, LLC, as well as regional vice president, business development consultant and internal wholesaler for Jackson National Life Insurance Company. Olean worked as senior regional sales consultant with Prudential Annuities Distributors, Inc. While at Prudential, he was recipient of the 2006 IBD 1st Year Sales Achievement Award, 2009 IBD Innovation Award, 2012 IBD Salesmanship Award and 2012 IBD Sales Team of the Year Award. The Insured Retirement Institute (IRI) announced that Frank O’Connor joined the association’s staff as vice president of research and outreach. O’Connor most recently was Product Manager, Asset Manager Annuity Solutions at Morningstar, Inc.
“Frank’s commanding knowledge of the annuity marketplace will be instrumental to expanding on IRI’s research and education offerings for members,” IRI President and CEO Cathy Weatherford said. O’Connor was the director of product development for Finetre Corp.’s VARDS Online, before it was acquired by Morningstar in 2005 and held various positions at Morningstar after joining the firm following the acquisition. Security Benefit Life Insurance Company appointed David Byrnes as head of bank markets for its bank/financial institution channel. Byrnes has more than 25 years of experience in the financial and annuity industries. The new appointee will manage all sales and relationship aspects of the channel and will also lead Security Benefit’s third-party wholesaling relationship. Byrnes has held several sales and executive positions, including executive vice president, director of sales and relationship management at Sun Life Financial in Boston. EmployerDirect, a value-based health care that helps large, self-insured employers provide transparency for the quality and cost of their employees’ planned medical procedures, welcomed John Relic as executive vice president of its provider network. Relic has more than 30 years of experience in the healthcare industry, most recently working as a hospital executive and consultant. The new executive vice president also was a Director of Physician Services at Huron Consulting Group, was a member of the Huron Organization’s operational excellence development team, was the vice president of operations at the Good Samaritan Hospital, CEO of ClarityMD Consulting, and the CEO of Austin Radiology. He also chairs different associations in San Fernando and the Santa Clarita Valley.